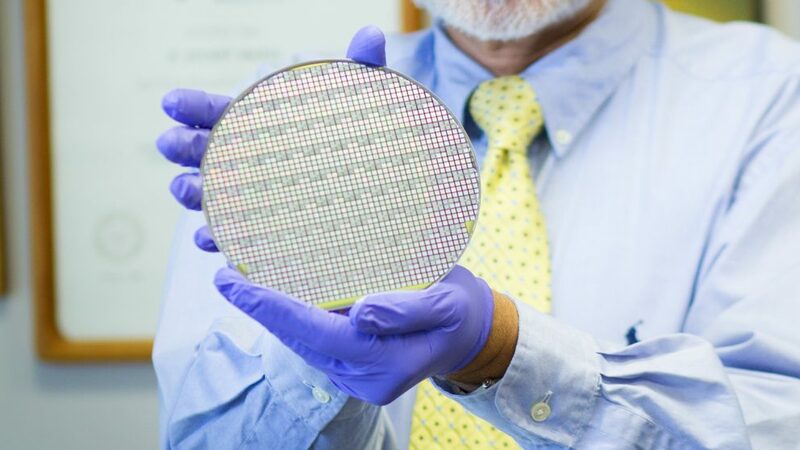 Researchers from North Carolina State University are rolling out a new manufacturing process and chip design for silicon carbide (SiC) power devices, which can be used to more efficiently regulate power in technologies that use electronics. The process – called PRESiCETM – was developed with support from the PowerAmerica Institute funded by the Department of Energy to make it easier for companies to enter the SiC marketplace and develop new products. Jay Baliga, who developed the PRESiCE process. Power devices consist of a diode and transistor, and are used to regulate the flow of power in electrical devices. For decades, electronics have used silicon-based power devices. In recent years, however, some companies have begun using SiC power devices, which have two key advantages. First, SiC power devices are more efficient, because SiC transistors lose less power. Conventional silicon transistors lose 10 percent of their energy to waste heat. SiC transistors lose only 7 percent. This is not only more efficient, but means that product designers need to do less to address cooling for the devices. Second, SiC devices can also switch at a higher frequency. That means electronics incorporating SiC devices can have smaller capacitors and inductors – allowing designers to create smaller, lighter electronic products. Up to this point, companies that have developed manufacturing processes for creating SiC power devices have kept their processes proprietary – making it difficult for other companies to get into the field. This has limited the participation of other companies and kept the cost of SiC devices high. The NC State researchers developed PRESiCETM to address this bottleneck, with the goal of lowering the barrier of entry to the field for companies and increasing innovation. The PRESiCETM team worked with a Texas-based foundry called X-Fab to implement the manufacturing process and have now qualified it – showing that it has the high yield and tight statistical distribution of electrical properties for SiC power devices necessary to make them attractive to industry. “If more companies get involved in manufacturing SiC power devices, it will increase the volume of production at the foundry, significantly driving down costs,” Baliga says. Right now, SiC devices cost about five times more than silicon power devices. The researchers have already licensed the PRESiCETM process and chip design to one company, and are in talks with several others. 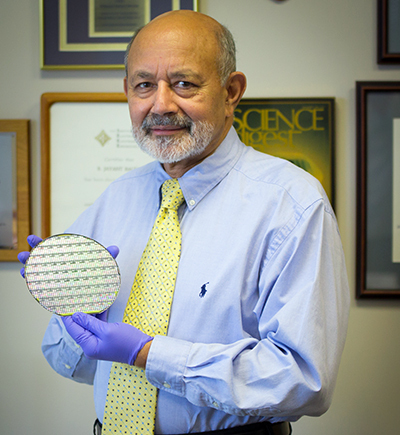 “I conceived the development of wide bandgap semiconductor (SiC) power devices in 1979 and have been promoting the technology for more than three decades,” Baliga says. “Now, I feel privileged to have created PRESiCETM as the nation’s technology for manufacturing SiC power devices to generate high-paying jobs in the U.S. We’re optimistic that our technology can expedite the commercialization of SiC devices and contribute to a competitive manufacturing sector here in the U.S.,” Baliga says. The paper, “PRESiCETM: PRocess Engineered for manufacturing SiC Electronic-devices,” will be presented at the International Conference on Silicon Carbide and Related Materials, being held Sept. 17-22 in Washington, D.C. The paper is co-authored by W. Sung, now at State University of New York Polytechnic Institute; K. Han and J. Harmon, who are Ph.D. students at NC State; and A. Tucker and S. Syed, who are undergraduates at NC State. The work was supported by PowerAmerica, the Department of Energy-funded manufacturing innovation institute that focuses on boosting manufacturing of wide bandgap semiconductor-based power electronics. Presented: September 17-22, International Conference on Silicon Carbide and Related Materials, Washington, D.C.
Abstract: PowerAmerica sponsored the development by NCSU of a process for manufacturing power MOSFETs and JBS Rectifiers in 2015. This process, named PRESiCETM, was successful in making 1.2 kV state-of-the-art devices (power MOSFETs, ACCUFETs, and JBS Rectifiers) in the X-Fab foundry. In addition, we were successful in monolithically integrating a JBS fly-back rectifier into the power MOSFET structure to create the power JBSFET which allows saving significant (~40%) chip area and reducing package count in half. In the second year (2016), NCSU has been successful in qualifying the process for manufacturing these power devices at X-Fab. 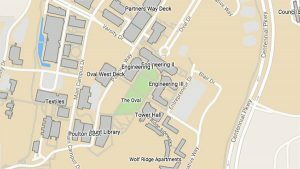 Check out the schedule for engineering department graduation ceremonies at commencement.ncsu.edu.